Broken streetlight? I report it with Fix My Street! Public lighting can fail in smart cities too. Fortunately, anyone can report this type of problem straight to the responsible department through a single point of contact. 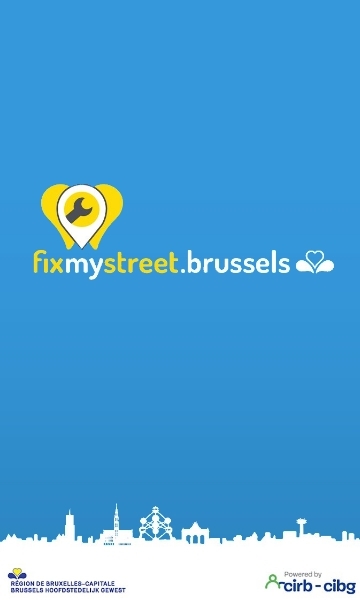 In the Brussels-Capital Region you can use the Fix My Street platform. Fix My Street can be used to report incidents in the public space, such as a subsiding road, a pavement in poor condition or a broken street light. Internet makes everything so easy: you can send a report to the relevant department in just a few steps – on the website or in the specially developed app. The platform is a template for service centred on users rather than the administration. Those wishing to report a problem do not need to know whether the commune or the region is responsible for the street and then identify the right department and check when it’s open. Fix My Street provides 24/7 access.